A long-term study conducted by Dutch researchers has linked smoking and drinking to three subtypes of esophageal and stomach cancer. The study was conducted on almost 121,000 people and spanned about 16 years. Its findings were presented at the annual cancer prevention conference of the American Academy of Cancer Research, held in Washington DC. * gastric cardia adenocarcinoma (GCA), which occurs in the area of the upper stomach that joins the esophagus. In total, 120 ESCC, 168 EAC and 187 GCA cases were diagnosed during the period. It was found that people who consumed 4 glasses of alcohol each day had 5 times the risk of getting ESCC, as compared to people who did not drink alcohol. 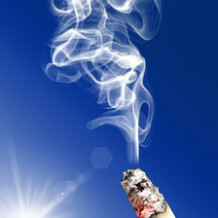 Smoking, on the other hand, was linked with increased risk for all 3 types of cancer. This applied to both former and current smokers, although the latter group had the most elevated risk, while the former group had intermediate risk which was higher than non-smokers. “The results of this study again confirm recommendations for a healthy lifestyle, namely not to smoke and to drink alcohol in moderation. But it also suggests that there must be other risk factors for EAC and GCA,” said Jessie Steevens from the epidemiology department at Maastricht University, the leader of the study. “Other factors that might be associated with the risk of these cancers include obesity, diet and nutrition, exercise, occupational exposures, medical factors and so forth, which we are beginning to study,” she added. It doesn’t really take a rocket scientist to figure out that diet and nutrition contributes to cancer, and especially esophageal and stomach cancers, does it?